Product information "Hoover DXOC68C3B Washer"
One Touch - unlocks the full potential of your washing machine through simple connectivity through your Android smart phone. The Hoover DXOC68C3B Washing Machine has an 8kg capacity and features One Touch technology. This allows you to control the washing machine using the Hoover Wizard app as well as downloading new wash cycles. 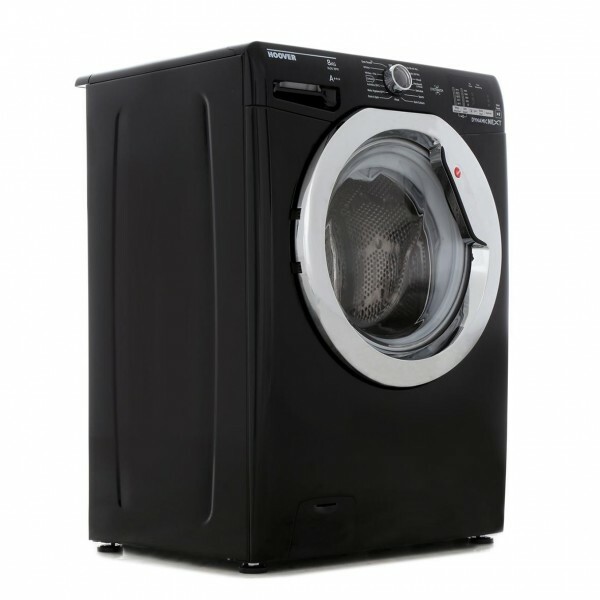 It provides optimum efficiency for your laundry with an A +++ energy rating. Plus, the digital display makes it easy to select the most suitable cycle for garments. The intelligent KG mode indicator can be used on Cotton and Synthetic cycles. During the first 4 minutes of a cycle, it identifies the weight of the clothes inside the drum. It then adjusts the water level and controls the length of the cycle depending on the size of the load. This model also includes an ActivEco programme which enables mixed fabrics to be washed at 20ºC. Related links to "Hoover DXOC68C3B Washer"
Customer review for "Hoover DXOC68C3B Washer"